Bobux shoes are designed for barefoot freedom, which mimics the natural freedom of bare feet, allowing children to naturally acquire balance, co-ordination and good posture. Bobux are suitable for narrow and medium width feet. 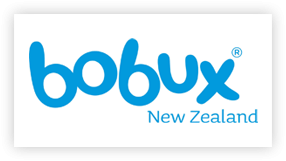 Bobux strive to create the very best footwear for kids feet, as well as design shoes that are stylish and with a youthful approach. Bobux follows a comprehensive eco-friendly policy, including eco-friendly leather and natural, non-slip rubber soles.